The South African horn that changed to sound of football since the world cups in 2010. It's loud, big and ideal for and advertising. 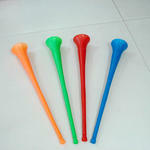 The horn is still really popular during events, tournaments and holidays. 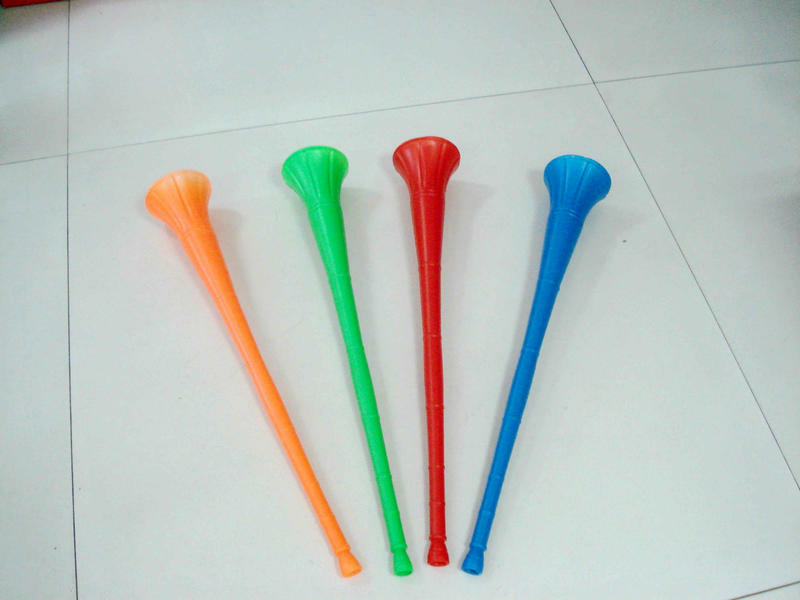 We can produce the vuvuzela horn in many different colours and printed with your own design. Get your companies logo, your own advertisement or basically any text you want printed on the sides of the horn. Have a look below for the possibilities, prices and delivery time or contact use for information or assistance for your order.